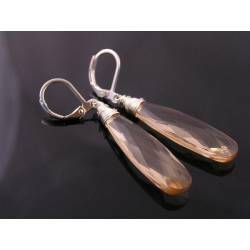 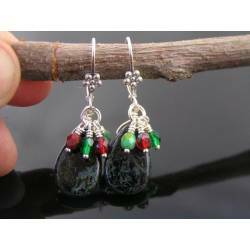 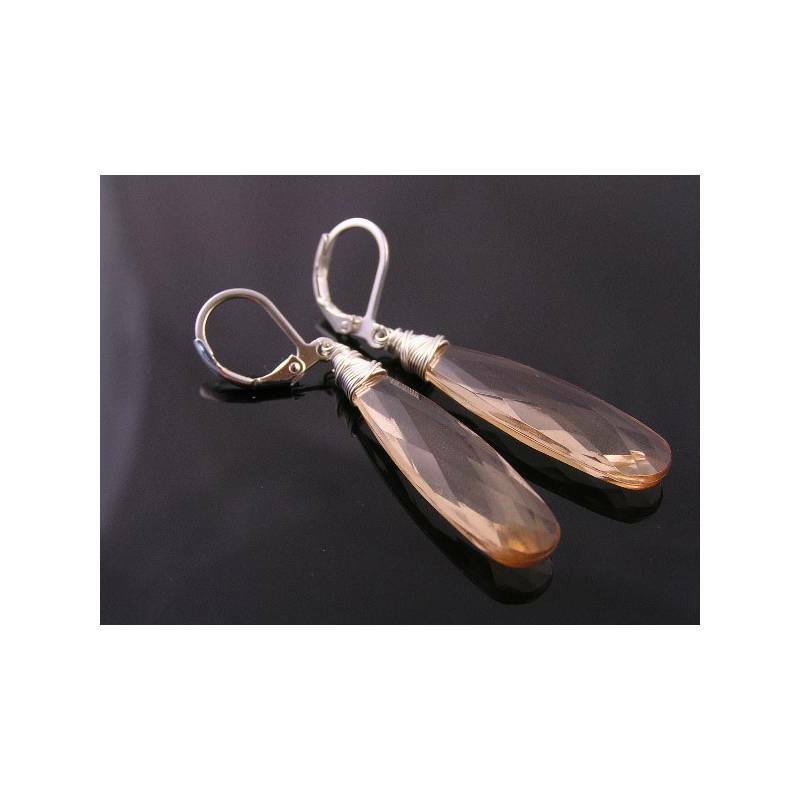 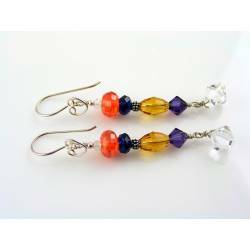 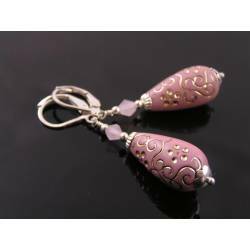 Eye-catching yet super light weight drop earrings. 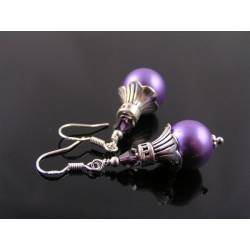 Available in lots of colours and metal options. 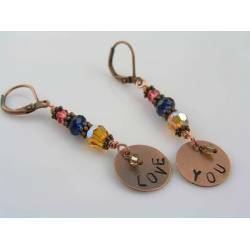 These are for all of us who like larger earrings without the weight. 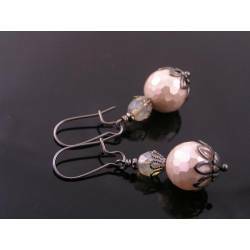 These gorgeous faceted drops are 35mm long and have a rather elegant pale champagne colour. 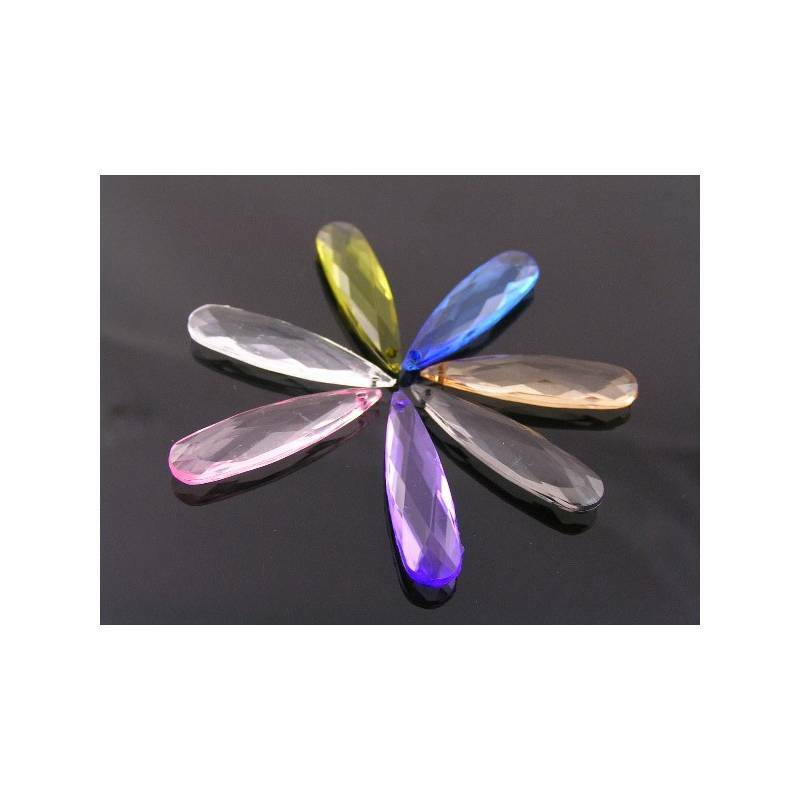 They are made out of acrylic which accounts for the light weight. 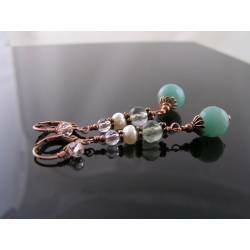 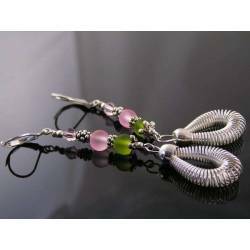 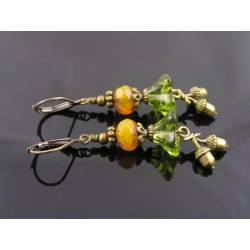 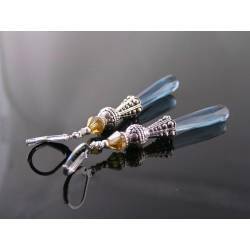 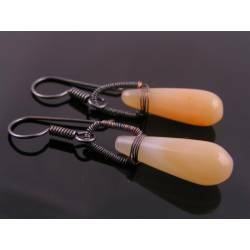 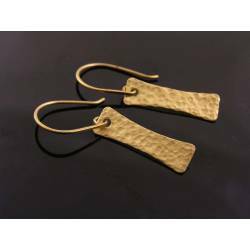 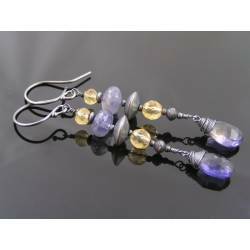 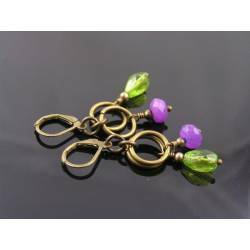 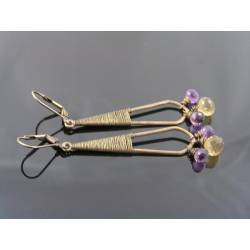 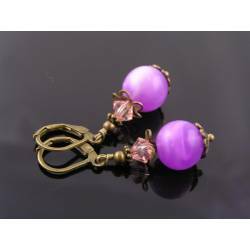 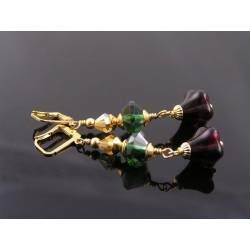 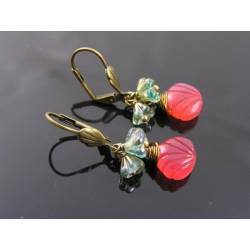 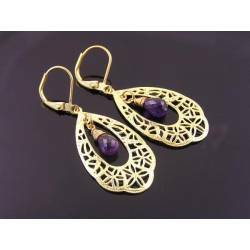 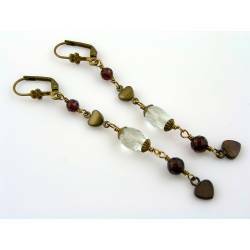 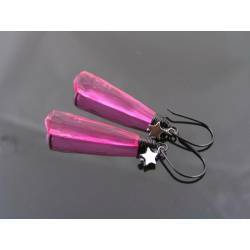 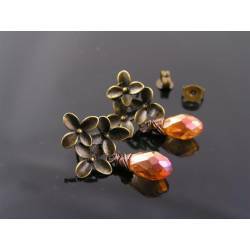 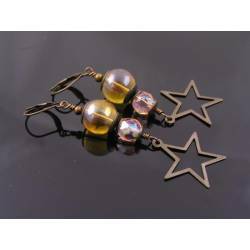 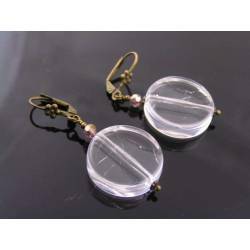 These are a fun pair of earrings, perfect for a night out and you won't loose them either as they are connected to secure lever back ear wires. 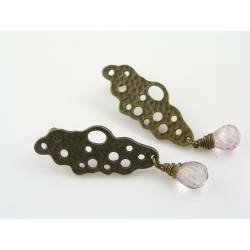 For this pair I used silver finished findings, but I can also make a pair in sterling silver, copper, copper oxidised, solid brass, antique bronze, gold finished and gold filled (how is that for options :-). 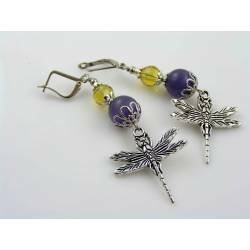 See the last photo for colour options.